Computer scientist Ernst Denert, (Ph.D., Technical University of Berlin) is a leading figure in entrepreneurial software development. As Denert completed his doctoral studies, Denert and Reinhold Franck co-authored one of the earliest computer programming texts, Data Structures (Datenstrukturen, published 1977). 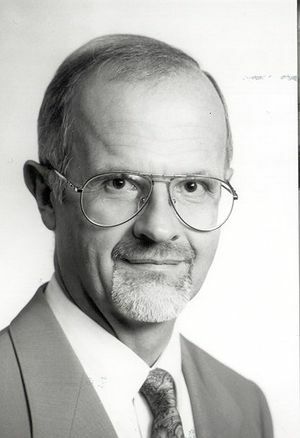 Denert started work as a developer for German software company Softlab in 1976, becoming a project manager there before co-founding his own company, SD&M (Software Design and Management), with Ulfried Maiborn in 1982. SD&M has provided software engineering services for clients including the Deutsche Bundesbahn, Lufthansa, Thyssen Steel, IBM, Bayerische Landesbank, HypoVereinsbank, BMW, DaimlerChrysler, and Deutsche Telekom. In this interview, Denert describes his participation in Germany's foundational period of academic computer science, against the backdrop of the 1968 student revolutions. Denert details the influence of these University experiences on the work environment he later created at SD&M. Denert recounts his work at Softlab on START, an application used by travel agents, and considers how his experiences at Softlab impacted the structure of SD&M. The interview includes detailed analysis of SD&M's strategies and growth. Ernst Denert: An interview conducted by William Aspray, Center for the History of Electrical Engineering, June 29, 1993. Oral History #167. Engineers as Executives Oral History Project, Sponsored by Center for the History of Electrical Engineering, The Institute of Electrical and Electronics Engineers, Inc.
Ernst Denert, an oral history conducted in 1993 by William Aspray, IEEE History Center, Hoboken, NJ, USA. Why don't we start by having you tell me something about your personal life and career? Maybe you should begin by telling me about the kind of family you grew up in, what your parents did, and what your education was like. I came from a lower-middle class family. My real father died in Russia a few months after my birth. He was an engineer. My stepfather adopted me. He liked me. He was a clerk in several German firms. My mother had no special education, so she was a worker and a housewife. I was born in the Sudentenland, which is in Czechoslovakia. As you know, German people fled from there after the war, after 1945. We came out very late in 1950. We had absolutely nothing when we came out. So my mother had to work. She was a simple worker in a factory. Did your mother and stepfather think that education was important for you? Yes. Especially my father. He stressed how important it was for me to make my Abitur, which is the degree that we have to have for the university. He stressed that very much and tried to help me, but I soon recognized that he really couldn't help me because he didn't know very much. We lived in Nuremberg, which is 160 kilometers north of Munich. A nice town. Did you have hobbies that were related to science or engineering when you were growing up? No, I don't think so. My interests were in playing football. I had an electrical railway but that's not scientific. I also built a radio. Did you show aptitude in math and science at an early age? Please tell me about your university. I went to the Technical University of Berlin. There were two or three reasons. The first reason was because the Technical University of Berlin was the only technical university having a course of universal studies. We were forced to have not only technical subjects, but also philosophy, linguistics, and history. We had to take four or five subjects from the humanities. Not social science. I wanted to have that course of study so that I would not to be so one-dimensional, technically oriented. That was the first reason. Maybe the real first reason was that in those times the Berlin people did not have to go into the Army. [laughter] You could simply avoid going into the army one and a half years. One could win two years because the studies began in the winter semester. Actually, I lost two years. I started my studies two years later because it didn't work. They caught me before I went to Berlin. [laughter] The third reason was that I wanted to go away from home. I have a lot of friends with whom I went to school who stayed in Nuremberg. They are very provincial. I studied electrical engineering. I did not feel strongly enough for physics. [chuckling] I had an orientation towards science, especially physics, but I preferred some engineering discipline, electrical engineering. As part of the electrical engineering study, did you study both power and electronics? Mainly electronics. Of course a little bit of power is in every electrical engineering curriculum, but it was mainly telecommunications. That brought me to computer science. Were there any faculty members in informatics or computer science at the time you were there? No. That was the beginning of my luck in that field. I'm especially lucky that I had to go into the army. Because if I hadn't, I would have finished earlier and then I wouldn't have had the chance to switch to informatics, i.e. computer science. In Germany, they started a massive program in computer science education at the universities in 1970-71. That was exactly the time when I finished my electrical engineering studies. So when I finished they started to build that new department. The first one or two professors came in, of course, in electronics. We had some contact with these things. We started programming and I wrote for a diploma thesis a programming simulation of digital circuits. Discrete simulation, things like that. As part of the regular electronics, had you learned some of the hardware side of computing? Some things, but not very much. Switching circuits, and these things. We had to work with analog computers, which is a really strange thing. When I received my diploma, I made a very clear decision to go study computer science. I cannot really explain why I studied electrical engineering, but I can explain why I switched over to computer science. I made the choice to pursue a Ph.D. As a "scientific assistant" employed by the university, I had the choice to have a position in the Electrical Engineering Department or the Computer Science Department. I could get the one in Electrical Engineering earlier, but I didn't want it. I waited some months and then it worked to get one in computer science. It was a really big chance because we had nothing. We had no professors in computer science. Were you taking a risk? No, it was not a risk. It was an opportunity. We had problems in Berlin getting good professors. They had problems because there was no computer science program before. From where would the professors come? Almost nowhere. In Munich, the computer science education had begun only a few years earlier, perhaps two or three. I think it was in 1967 or 1968. Almost nobody was available. So we had the chance and also, of course, the obligation to study, teach, and do research, because we wanted to earn our Ph.D. degree. Sometimes it was very hard because we had no academic teacher. There were not enough and not good enough academic teachers. So it was a hard time, but a good opportunity. What was the course of study? What were the topics that you defined at the time as appropriate for an informatics program? I know you probably took a strong role in determining what you studied. One of my main problems was a lack of mathematics. In engineering you mainly have calculus, not so much algebra. And you have discrete mathematics, which is very important for computer science. I could solve differential equations, but did not know algebraic structures. In computer science you have a lot of theory: automata theory, formal languages theory, recursive functions, and things like that. I knew absolutely nothing about these topics, but I had to give some courses together with the professor in these areas that I didn't know. So I had the situation where I was at most one week ahead of the students. That's what I mean when I say it was a hard time. But it is a way to learn a subject very thoroughly. Yes, of course, and very quickly. You asked me what is important in my career. I think that the most important event, and the most important period, was 1968. That was the time of the student revolution, which was very strong in Berlin. Berlin was the place where most things were happening in Germany. Frankfurt and Munich were active, but Berlin was the most active. It was the best time of my student life. [chuckling] I was engaged in these things but not in the more political way as people like Rudi Dutschke or others at the Free University. The center of the movement was the Free University. I was at the Technical University, which was a much calmer place. But, nevertheless, we had an anti-Vietnam War Congress at the Technical University in 1968. That influenced me very much. A lot of my friends and I were engaged not in generating political activity, but in changing the university policy about the conditions of our studies. For example, there were many regulations regarding the exams. Electrical Engineering was very conservative. One of our main complaints was that it took much too long to finish the course of study--up to fifteen semesters! Yes, it was much too long. That had nothing to do with the Vietnam War. [chuckling] But it was important. It was a period of reform. Yes, it was a period not of revolution, but of reform. I was very much engaged in that. I think my democratic consciousness stems from that time. Of course we were left-wing. There is a basic democratic understanding which I got from this period that influenced me very much. I think that influenced a lot of the corporate culture of sd&m. That is why I am talking about that. I do not think sd&m would be the way it is if I had not been in Berlin in 1968. Normally big companies are very conservative. I have to do a lot with insurance companies and banks like Thyssen and Deutsche Bundesbahn. These are big companies. They are very, very conservative and they have a culture which does not motivate the kind of people we need to do our projects. In companies such as the ones in Silicon Valley, there is a creative atmosphere with people who are very well educated, who are very engaged, who are very intelligent and who run around in jeans, t-shirts, and jogging boots. They would not feel good wearing a tie. You cannot lead them like a military unit--in an authoritarian way. The 1968 movement was an anti-authoritarian movement. It was a big success, a big event for me when for the first time in addressing a professor in a department session, I didn't say "Herr Professor Cremer." I simply said "Herr Cremer." Do you see the difference? I omitted the word "Professor." Yes. That was not very easy. It was hard. But it freed us. We had decided to accept an authority only due to its competence, not its position. That was a very, very important experience. Is that something that you practice in sd&m? Is it also true at sd&m that the kinds of benefit packages you provide to your employees, or the kind of charities you support, are of a more liberal nature or more left nature? I would not describe them as left. But we do have events that go in this direction. For example in two weeks we will have a summer party at a lake in the west of Munich with all the employees and their families. It will be a very nice event. Not conservative. Another important example is that we had and continue to have a series of workshops, where we try to bring technical work and social contacts together. Every year we have arranged a workshop where everyone in the company went to a hotel in Austria in the mountains, from Wednesday evening to Sunday. We had two days--Thursday and Friday--with some technical program or lectures on operating systems, or CASE. Sometimes there were lectures on other non-technical, but very important topics such as how to write good German or on body language. There is a very famous guy, Samy Molcho. He is an actor and does pantomime. He gives seminars in body language. He is a very interesting and amazing guy. So we arranged a workshop for one or two days on body language and on good German because we know how important it is to have a good communication with our customers and within our teams. Our colleagues brought their wives, or husbands, with them and the children. We were together with them in the evening and we climbed a mountain, or did something like that. That is a very typical package of social programs. These things are a very important part of our corporate culture. With regard to this issue you mentioned before of valuing people not for their position, but for their abilities, does this mean that people can advance very rapidly in the company? Does it also mean that people can work more flexible schedules and take care of family concerns, and things like that? Yes. We don't care when somebody comes or goes. There is almost no regulation. Of course, the project must go on. The work must go on, but we are very liberal in these things. There are a lot of aspects in this regard which I think stem, to a large degree, from my 1968 experience. You must know my partner with whom I founded the company, Ulfried Maiborn. He is one year older than I am. But he does not have that experience. He was an officer in the Army for four years, and then studied electrical engineering at a very small place. We share these values, but the influence of the 1968 culture is more on my side. Let's discuss your career in computer science. The problem, as I have already said, was that we had neither enough nor good enough professors. One reason was because they didn't exist at all. But another very important reason was that they didn't want to come to Berlin--to the revolutionary students. They were afraid. It was really a problem. That forced us--a group of relatively young assistants--to take more responsibility than is normally the case when there is an established group of professors, as it is at the Technical University of Munich where I am now. It is unthinkable that a young assistant would take the responsibility we had in those days. I think it is impossible anywhere today. Times have changed. From my point of view, we had the times of the gold diggers in Sacramento. Something of that sort. We developed a curriculum from scratch for the first four semesters of the computer science program which was very good. I think we were quite ahead of all the other universities in building a very good curriculum. We didn't only have to plan it, we also had to realize it. I had to give one very important lecture. It dealt with data structures, algorithms on complex data structures. Preparation for that led me to write my first book. I had at least a manuscript of the first book before I had my doctoral thesis. Simply because we had to do it. There was only the book of Knuth on the Art of Computer Programming, volumes one and three. Yes. They were the only books we had on these topics. These are very good books from Knuth, but as you know it is not good enough for educational use. So we made our own manuscript for the students. We made it a second time, and a third time. And then it was a book. My colleague, Reinhold Franck, who is now dead, and I. We used Algol 68 as a programming language to explain the data structures and algorithms. As you know, Algol 68 was unsuccessful in the sense that it was never widely used and is not used today. But it was a very good language for understanding and explaining a lot of concepts. Was it used in some of the universities for a while? Yes. We sold about 4000 copies, which is rather good in Germany for such a book. I know some universities used it--not only Berlin. I think the book was a success. It was a pity that, at the same time, Niklaus Wirth wrote a book on data structures. We were unknown, and he was already very well known at this time. His book is a good book too. I learned, I taught informatics, and we did some sort of research in order to get our Ph.D. which was very hard. But it worked. We were forced to lecture because there were no professors. That gave me the chance to write this book. It brought me forward. Did this book constitute your own research as well? It had something to do with my research, but that is not the most important point. The important fact is that I learned to be self-motivated. I simply had to do these things. I had to lecture. I had to develop a manuscript two years after my diploma. What was your research on for your degree? I developed it with two other colleagues, Reinhold Franck and Wolfgang Steng. It was a two-dimensional programming language. It is very, very strange, as are most Ph.D. theses. What's the rationale for having one? A two-dimensional system means you don't write a program, you draw it. Let's have a look at some pictures here. If you deal with complex data structures, you would like to draw pictures like this. You have data elements which are connected by pointers and you are considering how an algorithm changes that situation. For example, you see the dashed lines here? That means before applying an algorithm to that data structure it looks like this. Afterwards it looks like this. The simple idea was to take this picture as a program. You simply write the data structure in a before-image and an after-image. You see the transformation. That's the effect of the algorithm. We developed a programming language where you can draw programs from manipulating such data structures. We did it in all consequences. We made a formal definition of syntax and semantics and Reinhold Franck expanded the theory of syntax analysis from the one-dimensional string case to the two-dimensional case. Did this catch on at all? Before going on to the next stage of your career, let me ask one last question. In this very special environment in Berlin, were there other people who were effected by it as much as you? Did your cohort group of students have a set of careers so far that were unusual compared to maybe another set of students at some other institution, some other time? That's hard to say because normally you only know about the people you knew as a student, or as an assistant. But you don't know what happened to the other students. A lot of my friends made good careers in academics. They became professors. But nothing special comes to mind? Nothing special, no. In 1976 I left the Technical University, half a year after my doctor's exam, and came to Munich, to Softlab, which is one of the renowned German software houses. Was it renowned by that time? It was five years old. They had a good name. What were the options you had when you were looking for a job? It was a bad time. Frankly, there was no option. In 1975 we had a recession in Germany. In 1975-76 the economic situation was as we have it now. Maybe not so bad as now, but we had similar problems. It was not so easy for me. I did not have five contracts to choose amongst. I simply had one from Softlab. It was a very good one. Maybe three years later things would have been quite another way. What were you hired to do? Softlab made and makes software development projects, and I was hired to work within such projects. That was lucky for me. In these days, Softlab had acquired the project START. I mentioned it in my book, Software Engineering. It is a system for the travel market, for travel offices. Maybe you know Amadeus or in the United States you have the Apollo and Sabre systems, though they are more airline reservation systems. START is not a reservation system. It is a big network and a big software application which has to do with the travel business. So its something that is used by the agents at a travel company? Right. On the one side you have the travel agencies with offices in the towns--nowadays there are some ten thousand of them. On the other side you have the providers. They offer travel: Lufthansa, Bundesbahn, Tourist Union International, and all these organizations where you can book a warm-water trip, e.g. to Mallorca. That system brings those two groups together. It was a big project. It was a big network. It was done by Siemens for START, which was a company founded by Lufthansa, Deutsche Bundesbahn, and TUI--Tourist Union International. At Softlab we had the application software to develop as a subcontract. It was a project that turned out to require more than 100 man years. It wasn't planned that way? What is important is that I met my later partner there, with whom I founded sd&m. He was my boss at that time. He hired me. He had been at Softlab since 1972, almost since the beginning. He had acquired that project, and we started the project with a small team. At the beginning, I think there were four people. Writing specifications, doing design, all these things. You were in from the beginning of this development? It was another kind of gold-digging that I could do there. Now comes in a very important point--Ulf Maiborn is a very tough, very strong manager. I was always a designer, a software engineer, a technician. There is a famous book by Fred Brooks, The Mythical Man Month. Maybe you know it? There is a chapter in it on design and management. Brooks says that its a good idea to separate these roles of the manager and designer in a big project. He describes the IBM System/360 project, which he managed. We established this separation of roles in that project in the following way: Maiborn was the manager of the project and I was the chief designer. It wasn't defined in that way from the beginning because I was a youngster in the company. But it turned out that after one or two years there I really had that role. It is not by chance that sd&m was called "Software Design and Management." It stems from this experience. We were two strong persons in those two areas. We managed to make that project successful, which at the peak time involved about 30 people. In sd&m, the division of labor remained the same way as it had been on this project? Yes, of course. The division of design and management remained. I did not have the chance at sd&m to do only design. We had to manage a company together. But his focus was mainly on the management of the project. My focus was more on the technical side of the projects. It was a big chance. This special sort of gold-digging in the START project was that I had the chance to bring a lot of ideas that I had gained from my university career into that project. I always thought about it and I still do today. I continue to read articles and think about how I can use this knowledge in the practical life of my project. I sit in the train or in the airplane, read Communications of the ACM, or the IEEE Transactions on Software Engineering, and I think, "what can I do with that idea? Can I use it?" So I used several interesting concepts for the first time in that project. Then we used them again and again. The most important thing, of which I am very proud, was that we did the START design with the rather new idea of data abstraction. We had to do some sort of design and nobody knew how to do it. At Softlab they had only learned structured programming. Dijkstra wrote his famous paper, "Go to Considered Harmful" and invented the structured programming concept in 1968 and 1972. Then the Nassi/Schneiderman charts came out. Softlab picked them up. It was the big story of Softlab, but it was very simply the use of structured programming. I thought it was not the most important thing. I had the opportunity to meet Dave Parnas. Do you know him? I had the chance to meet Dave Parnas in 1972 in Berlin. As I told you, we tried to get professors and it was very hard. So we tried to find them in the United States. In 1972 I made a trip to a conference in the States and visited some people, who I tried to acquire for Berlin, [laughter] which was silly. As a young man I tried to pick up a professor in the United States! Dave Parnas was one of them. I didn't visit him in the States, but somehow I came into contact with him and we had him for a lecture in Berlin. It was exactly the time when he wrote his very famous paper on "Criteria to be used in decomposing systems into modules." That paper and some other papers contained the idea of data abstraction as a modularization principle. At the same time, while at the Technical University, when I was writing the first version of the data structures manuscript for the students, I started programming in Simula 67. Now almost everybody knows that Simula was the first object-oriented programming language. So I am one of the oldest object-oriented programmers because I tried all the algorithms in the book on data structures in 1973. At the same time, Dave Parnas' ideas on data abstraction came together in my head. I tried these approaches for two or three years at the university and then came to that START project. Nobody knew how to do it. So it was a big chance, gold-digging. I think we were almost the first groups to design a real system with commercial conditions using the idea of data abstraction. This was in 1977. Of course there were a lot papers around the scientific community. They were trying these ideas in university courses, but not in a 100 man-year project under commercial conditions. I subsequently learned from a book by Ivar Jacobson that his group did something similar at about the same time in Sweden. Maybe they were earlier than us. But, I am not quite sure. I am very proud about that. It worked quite well. It still works today. START is a very successful system and company. They are customers of mine again at sd&m. Six or seven years after the system became operational, they showed me how the system evolved. I was afraid that they had maintained it to death, that they had damaged the structure which we had brought in. But they didn't. There were some young guys at START who were Parnas students. Yes, that is curious. Parnas didn't come to Berlin, but instead went to Darmstadt, which is near Frankfurt. He was a professor there for some years. Of course, he influenced his students and two of the students went to START, where they found a system that was designed according to the principles Parnas had established. [chuckling] And they maintained this structure. They are now in responsible positions within START. They are my friends. They keep that system going, and in a few days I will meet with them to discuss how they can introduce more object orientation in their company because they fear they are a little bit behind the time. Back to Softlab and the START project. . . There were some other ideas and concepts which were first tried out in that project, but the data abstraction modularization is by far the most important. So the lesson from that is that I always tried to bring concepts from the scientific world into practice. Always in real projects. We have never established a department within Softlab or within sd&m responsible for developing methods we call "green table". . . The meaning is that it's developed in theory, not in practice. It is not applied, not within a real project, but aside from that. I had always done this type of development--methodological development, tools development--within a project. We always had the philosophy that it must pay back within the same project. That's a hard demand, in a way. But it worked. It always did. What happened to you at Softlab? Where did your career take you? I started as a developer and then I became project leader of part of the START program. It was a very big project, and we had subdivided it into two main groups. Maiborn was the manager of the whole project. I had a colleague who had another group, and I was project leader. Then I started some other projects which are not so important. I became a department head for a group of about twenty-five people. That was my last position. Then we decided to start to found sd&m. Because Maiborn asked me! That's the fair answer. What couldn't you achieve staying inside Softlab? I could have stayed there. Maybe I would be in a good position there now. Yes, I am sure I would be. When I left the university in 1976 I thought that I would return to the university some years later. For five years after leaving the university, I wanted to become a professor. But it was important for me to have practical experience. I still have the opinion that its bad that so many of our professors never left the university and do not have practical experience. That's fine for mathematicians. That's fine for people in computer science in the theoretical field, where there is no practical experience to be had. But it is not ok for practical computer science. It is not ok for professors who teach software engineering. We have too many such professors. So I thought I should gain some years of practical experience and then become a professor. That would place me in a good position. The longer I stayed at Softlab, in the industry, the lower my desire to go that way because I recognized that I was able to do very interesting technical work in practice. I could do things which I could never have done at the university. At the university you can only make projects with a few students, and then not during the semester, but only during the vacations. The vacations? The out-of-term times? Right. So they tend to be some sort of toy projects, and I could make very good experience in practice. By 1980-81 I still thought about becoming a professor, but with less desire. Regarding staying at Softlab, I was not quite sure about that. I had a very interesting project at SEL from this time. We built the Bildschirmtext . Do you know what that is? Videotext? It doesn't matter. They never tried it in the States and that's good. But it was an interesting software system. Software and systems in telecommunications projects. It was a project I made with a Softlab team of about fifteen to eighteen people with SEL in Stuttgart. It was a very interesting, very exciting project. I thought about nothing else. [chucking]. I am a project man. I had some other projects in my department, but they were not so important. I really did not think about changing things. It was an exciting time. I was invited as a speaker to conferences. I wrote papers. I had a very good reputation in the scientific community. I liked it. Of course, sometimes we discussed forming our own company. Everybody at a software house occasionally thinks about being an entrepreneur, doing it for himself. It's quite normal. Is that because there is no capital barrier to entry? Yes. It's quite easy. Take a sheet of paper and a pencil and you start a business. When you are an employee of a bank, you don't think about founding a bank. [laughter] But being at a software house is different. Why do you think Maiborn wanted to leave and form a company? He is the born entrepreneur. I'm not. I'm the born professor, the design and technical guy. I would like to win the Nobel Prize, which would of course be impossible. I would not be good enough, and its impossible in computer science. He is a manager and wanted to be an entrepreneur. He saw the success of Klaus Nengebauer who founded Softlab. I think he wanted to copy that. So he was looking for a partner because its hard to do it alone. It's better to do it with somebody else. We were friends. We climbed the mountains and did a lot of things together. We climbed Matterhorn, for example, which brings you close together. [chuckling] We worked together. We were very successful with the START project. He had sometimes talked about this idea of building his own company. But I always thought that I wouldn't like that. Because If I did that, I would have to do much administrative work and acquisition, all the things I didn't like. It would hinder me to do my technical work. So I didn't like that idea. I wanted to get a professorship. I couldn't imagine building a company. We started sd&m in 1982. The decision was made at the end of 1981. In 1980 I couldn't imagine building a company. I thought it would be a big nonsense for me. But things changed. We discussed it. The decision was made in one evening. We were in Stuttgart due to the SEL project. We had a dinner together and some glasses of wine and he said, "don't you want to? Shouldn't we make that? What do you think about it?" I said, "ok, let's do it." Goodness! Did you have any sense for the kind of company, the kinds of clients, the kinds of work you wanted to do? Yes, of course. It was quite clear that we would do a similar type of business to that which we had experienced at Softlab. The similarity is software development projects for clients. No software products. So we got started. We did not need very much capital. Our experience was that software design and management is important for making good projects, and this differentiated us somewhat from the early German software houses, which were founded in the second half of the 1960s. What companies do you have in mind? We were thinking of companies like PSI. They are more technically oriented and are located in Berlin. Or SCS, which are now with cap debis. GEI, which was a subsidiary of AEG and is with cap debis now. Or ADV/Orga which is now within Sema Group. Or Ploenzke. They are all well known or got big. Most of these were founded in the 1960s. Softlab was founded in 1971. These software houses earned their money in the 1970s mainly by body selling. They sold programmers to customers. They also tried to make projects because some of them were connected to big companies. mbp, for example--to Hoesch, which is a steel company. GEI was connected with AEG? Yes, so they made systems solutions for them. In its earlier years Softlab earned its money through body selling. But you wanted a value added to your project? Yes. We felt that it would be not enough in the 1980s to be able to program--only to have good programmers and sell them to some customers. We had experienced, especially from that START project, that software design and management is important for making projects. We didn't want to only do body selling. We wanted to do projects. So from the beginning, sd&m made projects. It took the responsibility for making projects for customers. We prided ourselves on good design and management, as well as on good programming. What did Softlab's management think of the two of you leaving? You were, after all, a competitor to Softlab. Right? Yes, of course. We were and we still are competitors. Of course they didn't like it. But they had to accept it, there was no choice. In the first years I think there was not very much friendship. Especially between Maiborn and Nengebauer. We had no contacts. We met our former colleagues, old friends, of course. But we didn't steal people. We were quite fair. They tended to accept us as competitors. I was just about to ask a slightly more general question as to what you felt was the ethical way to behave towards them? Obviously you believe not taking people from their operation was important. What other sorts of things? How did you deal with customers, for example? We tried to get a project that we started at Softlab. It had to do with Deutsche Bundesbank. The early phase of the project had been finished, and when they asked Softlab for an offer for the next phase they also asked us. We made them believe that they should ask us too. But we lost it. So we took no clients away. There is another important point I shouldn't forget. We started sd&m not only with two private owners but also with an industrial partner. Do you know Kienzle? They make minicomputers. They are smaller, but can be compared with Nixdorf. They are like Nixdorf, but not as good. They were bought by Mannesmann. Maybe you know Mannesmann? Yes, that name is familiar. Mannesmann Kienzle is the company with whom we started sd&m. They had 50% at the beginning and we each had 25%. They thought they would go into bigger software projects, so they needed somebody who could do these projects, and they thought we could. But it turned out that they went on to do their minicomputer business--selling mini computers to middle-sized companies, just as Nixdorf did. They did not take on big software projects. It was not their business. They realized it after one or one and a half years. We also saw it. Management changed there. After one and half years we bought their shares, and they were out. But it was very helpful to start with them. Because for the first year, sd&m's work was done for Kienzle. It gave you projects to have to work on. They gave us projects that were not very good ones, but it was a good start. It gave us the possibility to start not only with two employees, but with a team of ten people. The two of us and eight other people. A secretary and developers. That would not have been possible without them. After one year had passed, we had almost no more projects from them, but instead we had customers such as Lufthansa, TUI--which is Europe's biggest broker of packaged tours, and Bertelsmann. These were very renowned customers. Had you known these companies from Softlab? Yes. Lufthansa and TUI were involved in START, of course. Had you also had some other expectations from Kienzle? For example, did you expect them to provide certain kinds of administrative functions for you? Or provide introductions to banks? Or any of those things that are done in running a business? No. The main expectation was that they would develop their business with more software orientation--that they would provide systems solutions with packages of software and hardware. At the beginning our work had to do with that project which we tried to take over from Softlab with Deutsche Bundesbank. Deutsche Bundesbank had a project with Kienzle where we supported Kienzle from Softlab. This was part of the connection to Kienzle. Kienzle believed that they would have other projects like this one for Deutsche Bundesbank, with other customers too. But that didn't work. They lost the Bundesbank project, and so they went back to their original business, selling boxes and providing solutions for small and middle-sized companies. That was good for them. It was a dream that we dreamed together with them, with the manager of Kienzle. But he was thrown out and another manager came in. Did you have difficulty convincing Kienzle? Did you consider other companies when you were looking for your industrial partner? We didn't look for other partners. We were not in the position of going around in the industry and saying "hey, here we are, Maiborn and Denert, we are looking for partners." It was a personal connection mainly between Maiborn and that manager from Kienzle, Dr. Bindels, which stemmed from that joint Bundesbank project. It is always a matter of personal relationships, whether such things work or not. But you didn't have serious problems convincing Kienzle to enter into this arrangement? It sounds like they went quite willingly into this. Yes, they did because that one man wanted it. He had the vision that Kienzle would have more of these kinds of projects. Was Kienzle a publicly held company? Or was this private? No, it was held by two brothers named Kienzle. It was a family company up to 1981. Then the first 50% was bought by Mannesmann, which is publicly held. Then 100%. So the decision didn't have to be made by an overseer board. It was a small company that worked in house. Now we come to the break up of the two. Yes. They saw that the connection got looser, that the two companies didn't work very much together, especially in this project business. It was Maiborn's part. I couldn't believe that they would like to get out because we were profitable in our first whole year of business. Already we made good profits. Yes. We started in October 1982. Of course, that first partial year we had a starting loss. In 1983 we had profit. At this point in time Kienzle went out. But they could see that we made a good development. I couldn't believe that they would like to get out, but it wasn't their business. They didn't want to be the owners of a small company making a profit. The management people were afraid that we could make some nonsense. They did not have the majority. They had 50% ownership. They knew that they couldn't really control us. They were afraid that we could make some nonsense. Here was a company with a big name--Mannesmann--who would be made responsible for the nonsense we might make. So there was more risk than profit for Mannesmann. Yes. The profit they could expect from us was not worth the risk they took. They were willing to get out. It was a very fair agreement. We bought their shares, and then we were free. Was it difficult to be able to buy those shares though? No. It was a very fair price. We had already made some profit here, and so it could be done. We could finance it. It was absolutely no problem. What other early challenges did you have in that first year and a half that you were together? I think the main challenge was working with Kienzle. Of course in the first year 100% of our contracts came from Kienzle. Although the management there liked us (otherwise they wouldn't have made the deal with us) people with whom we had to work were afraid that we couldn't take over their work. You must remember a very important point, that in 1981-82 we again had a recession in Germany. The first recession I experienced was in 1975, when I tried to get a job. The second was when we started this company [chuckling]. But it was a good time for us because we were in the economic valley, and after that it went up. It was a really good starting point in this respect. But of course, it was a hard time and people were afraid of losing their jobs. There we came in at Kienzle, doing work for them. So their employees didn't like us. A lot of people with whom we had to work made things difficult for us. Were any of the employees you took on as developers from the Kienzle staff? No. We took our employees, our developers from the market. We hired them, which was not very hard because it was a recession time. It makes it easy. It was a buyer's market. Were you working out of your home entirely? No. When we started work on the first of October, 1982 we had an office, but we had to hire the people some months earlier. It was a time when we were still working for Softlab. So you are set off on your own without having the safety net of Kienzle there to provide you with work. How optimistic were you? What was your plan for developing your own client list? We were optimistic about getting our own customers because we had contacts with Lufthansa, TUI, Bertelsman. We approached the Deutsche Bundesbahn, which is our most important customer when I look over all the years. We were very optimistic that we could get some customers. I know it sounds strange, but I never had the feeling I was taking a very high risk. Normally people believe one takes a high risk in founding a company. But I always thought, if it doesn't work you can be an employee at a good company, at a software house as a software project man. We started the company when I was forty years-old. I was not afraid about my situation. Had you invested a lot of personal savings, though, into the company that would have been lost? Yes, but it would have been only the past which I could lose. It is quite simple. We started with 200,000 Deutsche Marks. But what we really needed was to have that upgraded to 600,000 Deutsche Marks. Where Kienzle had to pay 50% 300,000 and that meant for me 150,000. I had 50,000 in my savings. And I got the difference from the bank. I got 100,000 marks from the bank. That was my risk. It was significant, but not overwhelming. No, it was not overwhelming. We never accepted a debt which could not be paid back. You can earn enough money as an employee so that you can pay back 100,000 Deutsche Marks in ten years. It is not an overwhelming problem. We got to know a colleague of Maiborn who had founded a similar company on robotics. He had taken a debt of two million marks in order to make an investment in a robot or something like that. He had two million marks and the company went down. The company was liquidated and he ended up with a debt of about two million marks. You are never able to pay back this amount as an employee. That means the bank will take all the money you earn up to the minimum you need for living. So it makes no sense and it is no fun to work. We never took such a risk. I always said, the worst that can happen is I lose my past--the savings. But I never lose the future. This other man lost his future. The trade off by taking that approach is that you cannot grow very fast. You do not have the capital to grow fast. We did not want to grow very fast. For some time we had the philosophy that we did not want to grow beyond fifty people. Nowadays we are not very big. One hundred fifty people is not very much. I would say these companies like SCS, Ploenzke have or had 500 to 1000 people. So we are medium size. We did not want to get very big because we knew and know that we would lose our competence. The level of competence would sink if we were very big. So we always tried to avoid that. So we did not need much capital. If you are in a consulting business, you don't need very much capital. When you are developing products, you have to make investments in order to develop a product which you then hope to sell. That is quite another story. We never did that because it was not our business. I don't want to say that we did not want to take the risk for that, but it was not our job. We were people making projects. We were staying small or staying the size which allows us to maintain quality. That is very, very important. Do you think that differentiates you from your competition? I think so. There are others who may have a similar philosophy. But look at the big players. Let's take Diamler-Benz. They can only think big. They think they can only be successful by buying companies, and getting bigger and bigger. Later on we will come to the topic of our partners which we acquired, Ernst & Young. About three years ago, we had contact with a lot of consulting companies in order to check whether they could be our partners. We got a report from cap gemini. Serge Kampff, the big boss of cap gemini, thinks big. I read their figures and they were already bad three years ago. Now they have red figures because they are so big. Cap debis is. Can you give me a sense for the size of the market? What is the total dollar value for the kind of work you do for your whole market niche? Do you mean how big is the market niche expressed in dollars? I don't know that. Sorry. Well, there are a lot of companies who are sometimes, somewhere, somehow competitors. But there are few which are important. Do you know Software AG? They not only have their data base system, Adabas, they also established an application development department. They are competitors. But they are not very good. Nevertheless, they are acceptable from the customers' view. The customers believe that they know the products of Software AG, Adabas, Natural. Maybe so or maybe not. So Ploenzke and Softlab are competitors. Cap debis, not so much. There are several others. Yes. That's an interesting point. We often get our contracts without competition. Of course companies must allow others to submit a bid. Especially if they represent some governmental organization. They have to make a public request for bids. Yes. They have to have several offers, several competitors, and that's always a bad thing. That's always a prize fight. You don't have a good chance, if you are not already in, as we are at the Deutsche Bundesbahn. Often, we are not allowed to present our offer. You can only write it out. That's terrible. I don't like that. I think we are not very successful in those cases because we are not willing to make low prices. We often get our contracts without competition. Do you often shy away from government contracts? Yes. We make these offers, but it's not our main business. We have a lot of contracts, a lot of customers because we have established a network. We have spent a long time in this business world. If you are good, you become well known and you have a lot of personal relationships, and that brings customers to us. That's much more important than a public call for offers. Are decisions about awarding a contract made by these clients mainly on a basis of competence or price sensitivity? They are not based upon price. Contracts where we don't have competitors are not price sensitive. Where there is a call for offers, it's very price sensitive. Can you give me a profile of the kinds of companies that are your clients? The ones you mentioned earlier are all very large, and quite distinguished companies. Is that the character of most of your clients? Yes. I think I gave you a brochure. The brochure lists many of our clients like TUI, Lufthansa, Deutsch Bundesbahn, Thyssen Steel. AEG. IBM is not a very important customer of ours, but it's a good name. The Automobile Club, ADAC, and BMW. We did a small consulting project for them, but its a good name. That is only a selection. But we have mainly well-known names in there. That's typical. What about the size of the projects that you undertake for them? What's typical? That information is in the brochure too. The typical size of a development project--not a consulting project--would be ten man-years. You see the figures here. They range from 10 to 130 there. That is not one project. That is a bunch of projects. That represents several projects that sum up to 130 man-years. The asterisk means that this effort is done together with the customer. But we are responsible for the whole project. So we are managing them too. I see. They have some technical staff, some software engineers that work with you. Right. They also provide project leaders for parts. But we are responsible for the whole effort. So we think we can count it in this way and say these projects were done by sd&m with their staff. Do you ever not bid on development projects because they are too big or too small? No. Nothing is too small. Most things start small and get bigger. [chuckling] And maybe you don't know at the beginning how big it will grow. Are there some projects that are going to be enormous and cause you to hire a lot of extra staff? Yes. These projects exist. At the moment we are not asked to make an offer for them. I know two of them. I'm not quite sure whether these projects will be successful. For example, Andersen Consulting makes one of them with the banks. Maybe the companies who make these projects will have to learn that it’s not a good idea to give the whole responsibility of such a project to one firm. They started with a contract of about 100 million marks. And now you can read in the newspaper that they are at 300 million marks. Don't quote me on that, but these figures are in the air. At the moment, we are not in the position where we would be asked to make such a project. People think that we are not strong enough to do it. I think we could do these projects, but we never would take the responsibility for a fixed price, such as 100 million marks. We could not afford that. It would be too much. I also think its a mistake to do it that way, to give such a large development way as a whole project to one competitor. I think it will not work. They have to learn that. Do you do many projects with other outside contractors? Is your work done on fixed price contracting? More and more, yes. When we started ten years ago, we worked on a time and material basis. Now we have fixed prices. We call it 'Werk." We have a fixed price for a fixed system. Is that a result of maturing and knowing your prices better? Or is that the direction that the marketplace has gone? Both things are true. I think the market is changing. And we have learned to live with that. To calculate it. To manage it. If you manage to calculate correctly, it's a good thing because you have much more freedom in staffing and in managing the project. When you work on a time and material basis you always have to ask the customer whether he agrees that you take out this person and bring in another person. That's ugly. I don't have figures at the moment, but I think that more than half of our projects are fixed price projects. Software projects are notorious for growing to be much larger and taking much longer than one expects. How did you learn to manage them? What kinds of lessons did you learn? What were your experiences along those lines? We only had one big flop where we made red figures in a project. That's remarkable that you can single out just one project like that. Do you have a philosophy of management for controlling the costs and the time tables for such projects? Is the nature of your business such that the kinds of development projects you're working on are very much like the ones you've done in the past, making it possible to learn from those previous ones? Or are you always entering new application areas? In principle we could learn from past projects. We could gather information by doing a calculation afterwards and compiling numbers from the previous projects, but we don't do it. It's terrible, but we don't do it. Another problem is that we have a lot of young people. We have a very young team. So we have a lot of inexperienced people. They don't bring the experience from a former project. If you estimate the effort it can be terribly false. Tell me about growth of the company over time. I know you have taken on some partners and you have more clients now. You have grown to 150 people. How did this take place and why the extra partners? As I told you, for several years we had the philosophy not to grow beyond the 50 person limit. Now we are 150. We didn't want to grow very much in order to maintain our quality. On the other side, we must have a certain amount of people in order to be able to do big projects. In order to reallocate people and to react to requests from the market, so we need a certain size. Is it also necessary to have people with different specialty skills? Or is one good programmer equivalent to the next good programmer? I believe that its not very important that somebody knows a special programming language or a special system. Customers often believe that. It’s sometimes a problem to explain to them that is not the case. But as important as making a correct calculation is, if you have one, try to stay within that budget. You can gain a lot of money or save a lot of money if you decide to stay within that budget. Every project consumes its budget. If you double it in the beginning, you will need it anyway. So the art of managing is to stay within that budget. Which of course, also means to control change requirements. You will always have changes. Customer will want changes. It can be a very dangerous thing when our people, our developers, and the customers' people on the working level agree upon a better way to do it. They decide, "Oh, that would do better, let's do it." So we have effort that was not calculated. It's problems such as these we have to be aware of. Are people sometimes better at one computer science skill than another? So you need some skills of different types. Yes. And if you have more people, then its easier to have a good mix of people. So we didn't really decide to grow further, but it simply happened because we were good. We had contracts and projects and things went on. For the first seven years, up to 1989, sd&m was a two man show. Maiborn and me. And then project leaders. Nothing else. We founded our first office outside Munich in Hamburg in 1988. Half a year later we opened another in Duisburg. It had to do with a project with Thyssen, because they were located there. We thought that it would be worthwhile to come closer to customers, of course. It was one reason for growth. Again that was mainly Maiborn's idea. Yes. We always discussed it. How could we broaden our management team, our top team? We had the problem, and we still have it, that we are very technologically oriented. We must be that way. That means that we are attractive to technically oriented people, but not so much to managerial people. That made it hard to find the people within our team who could take more responsibility and assume management positions. But we saw that it had to happen. Then we started to take other people in. We also needed that because we had some conflicts. I think its unavoidable. I already mentioned something to you. Its unavoidable that two people who work closely together for a long period, ever since 1976, will run into some problems. Then it helps when other people on a similar level come in. Then you have someone in some sense between us, which helped. Yes. We recognized that we needed to broaden our top team and we did it. When it was only Maiborn and me, it was not always quite clear who was responsible for what. That was one of our problems. We changed it by taking another guy in on this level and establishing other divisions. We now have a structure which enables us to manage this team of 150 people, which was not possible in the previous structure. So in the second version, do some of the divisions report to one person and others report to another person? So essentially what you're doing is creating three, small, fifty people companies again. That's the idea. That was necessary in order to manage that growth. The second thing that happened during the last two or three years was a search for partners. Without partners we relied totally on the network comprised only of the two of us. We each had our own network. And that is potentially dangerous. So any projects that were brought in were because you or your partner knew the people that were involved. So it's difficult if you want to retire or if you are going to grow and want more customers. Right. And at that time my coauthor, with whom I did my PhD thesis, Reinhold Franck, had an accident in the Alps. We both knew him very well. He suddenly fell into a gap of a glacier some thirty meters deep and was dead. It probably made you think about what would happen. Yes. So the idea was to look for partners. It only works when they are shareholders. It makes no sense to have some sort of cooperation contract. It doesn't work in the long run. The basic idea was to get partners in who can enlarge our network and make our position in the market more secure. Then the company would be standing on more columns. One idea was to have a company as partner which was already in the consulting business. But it would make no sense to have one of these companies, such as cap debis, as a partner because they are doing the same business. We had a lot of requests from companies from the United Kingdom, from the Netherlands, from France, who asked whether they could buy shares because they all wanted to move into the German market. The common market beginning in 1993 was the motivation for them to look for companies where they could broaden their market share. But it made no sense for us. It was just increasing your competition in a way. So you are looking for a company that does management consulting or accounting consulting? Right. A company of that type adds value to our marketing without adding competition. We looked at a lot of consulting companies like McKinsey and Diebold. We ended up with Ernst & Young. I tell this story to many people and in Germany there are a lot of people who don't know what Ernst & Young is. But in America they are very well known. Our second partner is a bank, Bayerische Landesbank. It has to do with the savings and loans banks. They are very widely distributed. There's an old tradition of poor people saving their money there. So they are everywhere. There is one in every village. You may not have a Deutsche Bank there, but you have a savings and loan bank there. And Bayerische Landesbank is the head organization in Bavaria. Bayerische Landesbank is the second largest one in Germany. This whole organization of German banks is not one company but it has some loose unifying connection. When considered as a whole, they make up the biggest bank in the world. And then there comes some Japanese banks. We never had to do business with banks and with insurance companies previously. Rather, I should say we hadn't had them as clients. We only had some small projects, but nothing worthwhile. That's not good because nowadays banks and insurance companies are very important data processing organizations. So the advantage of working with the banks and insurance companies is the opportunity to go into that field. We make projects for Bayerische Landesbank and they work much better than they did for Kienzle ten years ago. We learn a lot about banking and we also try to enter the insurance field, which is quite another business. In a sense, banks don't compete with one another the way that other kinds of companies in the same industry compete. So when you learn about dealing with the Bayerische Landesbank--the business--does that mean you can go to the other states and go to their landesbanks? Yes, there are some who are friends. Others are more opposed. But of course I get recommendations to visit the Landesbank in Frankfurt or in Hamburg or elsewhere. But if you had been doing work for Kienzle, they wouldn't want you to turn around and do work for Nixdorf. They wouldn't have hindered it. But it wouldn't have worked quite well, that's right. But there doesn't seem to be the same kind of problem in the banking industry. No. I don't think that is so. It depends on the individual. I met a man at the Deutsche Bank who was angry about the fact that I hadn't told him at the beginning of the talk about our connection with Bayerische Landesbank. I couldn't say a word because he talked so much. I think that is rather seldom. Normally that's not a problem that we have that connection. So you believe that this will be a growth industry for you? We are building one of the business areas which I am leading at the moment. We call it financial information systems. Currently its a rather small team of about 25 people. We think that its a growing field so I'm especially taking care of this one. The insurance companies have to do a lot of projects in the near future. I see that because of the deregulation of the European market. They all have to change their business. They call it "re-engineering." What a word! Did you go to the Landesbank for other reasons? For example, did you need capital, or did they have financial management experience that you didn't have? No. We went mainly in it for this market opportunity. Nothing else. You see, we don't need much capital. We have a capital of about 4 million marks, which is necessary to keep the business going, simply stated. We do our work, pay our people and get our bills paid three months later. There's a gap, so we have to have the capital to bridge it. But that's all. You still haven't gotten into a position where you have really significant capital expenses. You are not having to buy powerful computing hardware and you don't have investment in plants of other sorts. Of course we have a lot of small computers. They get cheaper and cheaper, as you know. PCs and Unix systems are small systems which we use as development work benches. We don't need to own the type of hardware our customers own. We use our customers' systems of course. We are connected to their computers. We have our PCs and Unix-based development environment and a connection to the mainframe. We are transferring the programs we are developing to their computer and translating and testing them there. So we don't need to buy the type of computer they have. That would be impossible. We cannot have an IBM mainframe and be as based with all the system software having IMS and DB2 etc. It would be impossible and makes no sense. We do not need very much capital for that reason. This third person you brought in at the top, was this somebody from within the company or from outside? From outside. It's a former colleague from the START project. We knew him from Softlab. Meanwhile, there are other people too. So we broadened it on two levels. Have you found that as you have grown companies have become more complex? Have you had to bring in professional business skills and external people--a very good marketing person, a very good financial person, etc.? He has the skills already and you didn't have to look for them elsewhere. Yes. We are looking for those skills because we need more of them. The third person we brought in didn't bring this special skill, but he brought the ability to manage projects, to manage these division heads, and to manage the projects beneath them. It is his special skill to work with all these people. He made a very important development. We tried to get people on this level from outside, but we failed. I see. The division heads. We had some bad experiences. We hired some people who are no longer there. They were the wrong people. It is very hard to get good people on this level who fulfill our requirements and who fit into our corporate culture. I hired one in the area of financial information systems and I am very satisfied. He has been with us two or three months now. Isn't it a little early to tell? It's not definite. But I think it will be a success. But this task is very hard. The people who are good for doing our type of project work are very technically oriented and have a lack of managerial skill. What about the project staff? What do you look for when you are hiring them? Is it hard to get good people? Absolutely not. It is easy. It is especially easy for me to get young people. We take mostly young people. They come from the university--computer scientists, mathematicians. About 50% of our people are from informatics, computer science. Between 20 and 25% are mathematicians. What kind of mathematical training? All sorts. They have some sort of programming experience. Was there something in particular you were looking for there? No. They must be good, that's all. There are physicists, engineers. Almost no people from economics, which is astonishing because. . . So much of your business is application in these areas. Yes. But economics students are not very well trained in logical, abstract, systematic thinking. [chuckling] It is a problem. It is easy to understand economics, but it is hard to train students from economics in logical thinking. You can't do that. It is easy for us to get good, young people because we have a good reputation. Where we are known, we have a good reputation. I'm very active in the university. I have a lot of students. My book on Software Engineering helps us to get well known. People read that book or hear my lectures and think "I would like to do project work in that way." Therefore they want to come to us. That's the main reason. Do you hire experienced programmers very often? No. Not very often. We would like to do it. We have tried it, but we are not very often successful. Because other places keep the good people? Yes, and because sometimes the experience doesn't fit our requirements. Its hard to get good, experienced people who fit our requirements. They have learned a different way of doing things at another company, perhaps? Maybe. They are rare anyway. Maybe they don't want to move. If they are really good, they may be in management positions and are no longer programmers. So it is not very often that we get experienced developers. Do most of your young people come from Munich? Or all over Germany? A lot of them come from Munich, of course. But also from other places, Karlsruhe or Erlangen. From many different places. Are there other things you might want to say about your relations with customers? How you continue them and how you build them up? A lot of customer relationship stems from our technical reputation in software engineering. This is not always good. I don't like that. I would prefer to be hired because people need some project done, not because we have a special knowledge, a special know-how in software engineering and in being a consultant in software engineering. I see. So they want to appropriate that special way of doing things and then say goodbye to you? Yes. That's one problem. But on the other side it helps coming in. Today I had such a talk with a customer. It was interesting and typical. There is a large insurance company, Aachener and Munchener insurance, the second biggest German insurance company. Its not one company, it's a conglomerate. We call it a "concern." Connected companies. There is a holding organization and then there are different individual companies. One of these companies made a project and they developed a software architecture according to my book. They had a consultant from another company who had read my book who had told them make it like Denert has written it. Somehow I was asked to make an evaluation of what they had done. They had really done a good job and that gave me the opportunity to present the result of that evaluation, not only to that bond company, but to half a dozen of the others in their concern. They brought together all their data processing leaders and the level of management above them also. One of them asked me to visit him and make a presentation. He has an office nearby our office in Munich. I was there today and we discussed how they could take over this architecture, what they could do with that and how we could help them. That is a typical way of establishing a new relationship to a customer. You are essentially in two businesses, as I can see it. You are in the software development business, but you are also in a consulting business. Yes, you cannot differentiate them. Does the consulting business have a strategic value to your company? Is that one of those ways of bringing in new customers? You start as a consultant and then you become the developer? That's what I want. It works, but not every time. Is it also the way that you can continue relations with companies after a project is completed? Who does maintenance, for example, on projects that you've developed? There are two possibilities. They do it or we do it. We like both cases. In the first case, when they do it, it means that we developed the system that they are able to maintain. We did a good job. We could pass it over. In the other case, when we do the maintenance, it is also a good thing because we have an ongoing contract. Is that a significant part of your revenue? No. There are two or three cases of this. Mainly we pass the system over to the customer. What about training and continuing education of your employees? What role does that play in your business? An important role. I tell applicants for jobs that the best education is on the job. Ninety percent of what they will have learned when they leave five years later, they will have learned in the projects they have done. I think we have a really good team. Everybody can learn a lot by working together with people in this team. That's the main thing. We provide training within the project if there is a new programming language or system to be used. I think we have a good library. We hold these workshops I already mentioned, on technical and nontechnical topics--interpersonal communication, for example. Furthermore, we hold meetings nine to ten times a year, on Friday afternoons. People can attend external seminars. But the main thing is the daily work. Is there any value in formal course work at the universities? Do your employees find anything that they can't learn better on the job? Well, they have done it. Is there a pattern of people going back and enrolling for advanced degrees or additional course work? That is not usual in Germany. I'm not sure whether it would be worthwhile. I don't believe so, but I would have to think about it more seriously. But it isn't established, it isn't usual. What about people going back for business training, business courses? Well, none of your people want to be managers. Yes. The business schools don't play a role with us. Nobody from such a school works for us. This is not to say that they are bad. But it simply doesn't happen. Can you please talk about your views of what happened in software methodology in the 1970s and the 1980s, the so-called "software crisis" and all of the formal approaches that occurred in the 1980s? Do you think there was such a thing? Some people doubt that there was. Yes. At least everybody talked about it. In some sense we still have it. We really haven't learned how to build software in a engineered fashion. At least we haven't learned it on a broad basis. I believe I know it and some other people also know it. It is quite another question whether all our people at sd&m really know it. I hesitate to say that they all know it. It is not a very broad skill. Not all the organizations have the skill to really make good software. They have some good people and some companies are better than others of course. But most of them are not really good. They didn't really learn it. We had a software crisis and still have it because people really don't understand how to make good software--or they don't do it if they know how. This leads to systems that are not good. They work somehow, but they do not work really well. The second problem is that the people who are responsible for selecting methods and tools and managing development departments cannot really judge what is a good method, what is a good process model, what is a good way of processing, what are good tools. The CASE market makes people believe that using their methods will help to overcome the crisis. But that doesn't really help. That's my opinion. What does it do? What would help? Why don't methods such as CASE help? It is a strange thing for me to see that some methods--especially structured analysis and structured design and the CASE tools are not really a good methodology. I question whether it's a methodology at all. I told you that I came from that thinking school of Parnas and data abstraction, Simula, and things like that. There was a totally other school established by people such as Ed Yourdon, Larry Constantine, Tom De Marco, and James Martin especially. I think it was totally misleading. It had nothing to do with the school that I liked--with which I was successful in doing my design. I don't understand why that happened. But it is a fact that it happened. It was supported by glittering CASE tools, very nice looking CASE tools, with a tremendous marketing success. Many people believed that they were on the right track if they bought a tool with such marketing success, even if they didn't understand what was going on. It is strange. That holds at least for the area that I'm in, namely business information systems. It has not held so much for technical software. But this whole bunch of commercial software is done in a very bad manner and there is no understanding of good software here. Taking you back a step or two, why do you think the timing was such as it was for this so called "software crisis"? Presumably there were software problems all along. All of a sudden you heard about it everywhere you turned. Yes, but that was in the 1970s. I think it is quite simple. The reason was that we had learned to write small programs. People like Dijkstra taught us programming in the small. Nobody told us about programming in the large. Only a few people, notably Parnas, went in this direction. But it's very hard to teach programming in the large. I tried it at the university, but maybe it is not teachable. The whole structure of the university doesn't lend itself to that. Maybe other engineering subject areas have a similar problem. I think universities don't really teach how to build a large building, or how to bring a rocket to the moon. It's an experience that has to develop in practice. Maybe we cannot demand it from the university. So having learned only programming in the small we had to do programming in the large. We had and have to do it. That's the reason for the crisis. I wondered if the crisis was also a byproduct of the professionalization of software--and of computer science more generally. All of a sudden, at this time, you have all these universities that are offering degrees and they have students to place and such. And they want to show that there is a need for the product you're putting out. Exactly. It’s a conjecture, I don't hold to it necessarily. Maybe. People no longer speak about a software crisis. That's a term which is out. The 1980s seem to be rife with all these formal approaches to resolve problems of software productivity. You suggest in the introduction to your book that the 1990s will be a reconciling of the 1970s and 1980s in a way. But balancing approaches and finding a new place for formal methods is not the solution to things. Do you want to talk about that? I think we need a good understanding of a lot of theoretically based methods. And a very pragmatic approach of applying them to real-life problems. I don't believe in a very strong formal application of methods and languages. You must be very pragmatic at least for the next ten or twenty years--perhaps forever. But we have to have a repetoire of such things, and apply them in a creative fashion. That means we need very good, very well educated, trained people; and it doesn't work the way that a lot of managers would like to have. I have those people and I have to live with them. The methods and tools have adapted to their low skill. Making software needs high skill. With bad people it doesn't work. So I have an attitude of an elite. But I suppose that for the large applications company that has a small programming unit, it is hard to attract quality people. Yes, that is their problem. But that doesn't change the situation. It doesn't change my statement that it's very complex and very difficult to build big complex systems. Part of the solution would be to buy standard software. Not to develop software, but to buy it. We have a very successful company in Germany, SAP, which is very good. So it would be a solution for a lot of smaller companies not to develop software at all. How do you view the software development process? Where does it stand in comparison to these other enterprises? It is not comparable with production in the factory. There are some people, especially in Japan who talk about the software factory. They tried to say that software has to be produced like mass production of cars. That's nonsense. We don't have mass production, we have the same process as it happens with developing new automobiles. There are laboratories and there are development departments and divisions. They are building prototypes and testing them. It is also a very creative design and engineering task. To put it another way, software production, software development, in your case is the equivalent of design? Right. What we don't have is the mass manufacturing behind that. Companies like Microsoft are providing you with books and some diskettes. They have to produce them, but that's not very important. That's very routine. Maybe the closer analogy to mass production and the software field is with companies that believe that you can build discrete subunits of program code which can be recycled over and over and over again. Then you just put the modules together in different ways for one customer after another. We have not reached the state where you can do that. That's an idea connected with object orientation. Cox talks about software ICs, software integrated circuits. Putting objects or classes together like integrated circuits on a board. We have not reached that state. I know one of the American companies has been touting their ability to do that, SofTech. But, I don't know enough about the company to know to what degree they achieve it. They may very well. For me they were better known in the 1970s. They had good advertising on the backside of Communications of the ACM. Doug Ross was very well known. But in the meantime I lost track of them. I don't know either. I know Doug very well. But I don't know about this matter. Another thing that struck me when I was looking through your literature was the visual images you use in your advertisements. The pictures of the different aspects, features, qualities that software should have. Are they tied in anyway to a philosophical understanding of what software is all about? I don't know if you have read these texts. They are very good German texts. One text is about the tree, and the corresponding one is about software. That is the pattern throughout. It is an image. We try to say that we like nature and that there is some relationship between software and nature. Good principles of nature can be applied to software systems. But that's very philosophical, something substantial to apply in our daily work. I'd like to know about that. There was a man who developed these small texts, which are very good. We have somebody who makes our corporate identity and prepares brochures. He brought the pictures and made the whole thing. We did it ourselves. Are there some other comments you want to make? I hate CASE tools because of their unsatisfactory methodology, like structured analysis, which is wrong in my opinion. As far as one can say, the methodology is wrong. It's not mathematically wrong, but it's not a good methodology. A good methodology is based on the ideas which were established by Simula, Parnas, Dijkstra, and others. The idea of object orientation is the main thing. The methodology of structured analysis was described by Tom De Marco in 1978 in a very famous book, but nobody used that methodology until it was implemented in CASE tools on PCs. It was not chosen because it is such a good methodology, but instead because it was possible at the beginning of the 1980s using PCs with graphic interfaces to build tools for drawing software. I told you I made my Ph.D. dissertation on a two-dimensional programming language with which one could draw programs. It was a bad idea. They retried that idea. Drawing, drawing, drawing. Entity relationship diagrams. That is quite reasonable, but the bulk of data flow diagrams, are a terrible idea. Nobody would consider using that methodology with pencil and paper. But suddenly they had PCs and they could draw small pictures on it. There is a new book by James Martin, who influenced the CASE market very much because he is somehow the father of ADW, one of the very successful CASE tools. And IEF, marketed by Texas Instruments. And also Excellerator. He has influenced this field very much. In his new book, he has a chapter entitled "Killer Technologies" or something like that. These are things he believes are important. There he states that "visual programming" is very important. This is the idea that one draws software. He even says that future software engineers will use sound for understanding their software design. I think he's crazy in this respect. I believe that it doesn't work. The bulk of the work in software engineering has to be done by writing structured texts. Some sort of specifications. Programs are finally texts. The main work has to be done in some textual form. You have to have good pictures, good illustrations of these things, but I do not believe that the main thing is drawing pictures. I have a lot of pictures in my book. Everywhere there are pictures, graphical illustrations. They are very important, but they. . . But they don't replace the real texts. Right, I believe that and I know that I am a little bit against the mainstream. But perhaps the mainstream is changing its direction. This page was last edited on 29 January 2019, at 17:24.